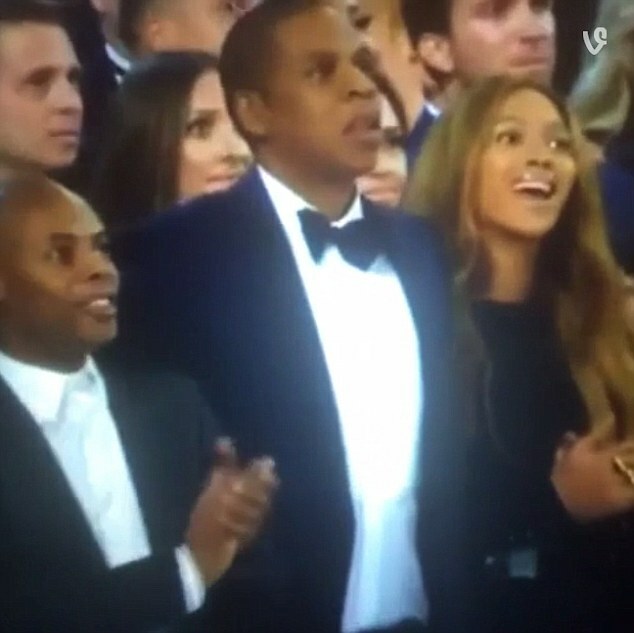 During the Grammy's which held on Sunday, Kanye West yet again caused a stir when he rushed to the stage after Becks ( I have never heard of Becks before ooo) beat Beyonce to award for Album Of The Year. 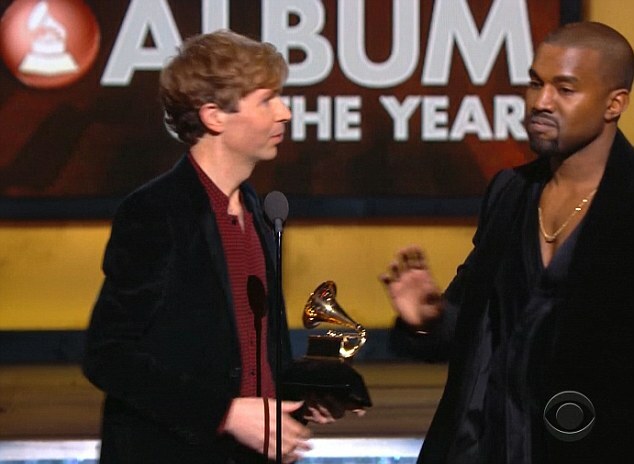 It first it appeared as if Kanye was planning to interrupt Beck's speech but he quickly turned around and went back to his seat, revealing his run to the stage as a joke leaving Beyonce , Jay Z and others laughing really hard. 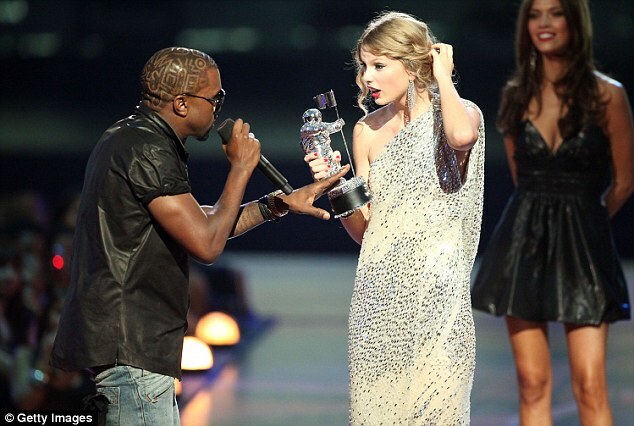 Back in 2009, Kanye hit the headlines when he stormed the stage at the VMAs, and told Taylor as she was accepting her award telling her Beyonce deserved to win.